The Center for the Environment at Plymouth State University, in cooperation with the Hubbard Brook Research Foundation, scientists of the Hubbard Brook Ecosystem Study, and the U.S. Forest Service’s Northern Research Station, offers a unique undergraduate summer research experience based at the Hubbard Brook Long Term Ecological Research (LTER) site in the White Mountains of New Hampshire. 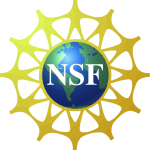 Funded by the National Science Foundation, the program emphasizes ecology and ecosystem science through both a research mentorship and an outreach partnership with an outside organization engaged in communicating ecosystem information. Ten students from across the country are spending the summer at the Hubbard Brook LTER site in Thornton and Woodstock, New Hampshire. Students work with a research mentor participating in research projects in animal ecology, biogeochemistry, hydrology and soils, and forest vegetation. In addition, students partner with an organization to create a product needed by the organization to communicate ecosystem concepts to a broad audience. Each week the REU program includes evening events related to science projects and science communication. This blog has been set up by one of the REU student’s science communication project and will provide a place to record the program over the summer. Check back frequently to learn more about the Hubbard Brook REU!